MINI DIP PCB mount Switches 2-Position OFF/ON (Pack of 4 switches). MINI DIP PCB mount Switches 2-Position. Pack containing 4 Switches (Each ..
MINI PUSH BUTTON OFF/ON MOMENTARY SWITCH RED 6A-125V (Pack of 4 switches). Pack containing 4 off/on momentary mini push Switchs, SPST. Each switch&nbs.. Pack containing 5 buttons, momentary off/on Small Push Switch. Tact button model .. 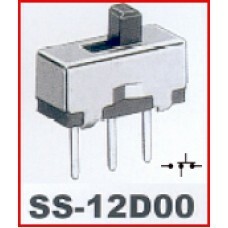 Pack containing 5 buttons, Off/On, Small Toggle Switch 3 ways - SS12D00. 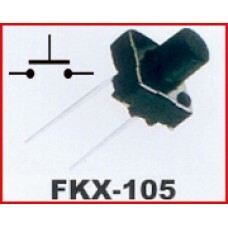 Rated load:..
Three positions Toggle Switch, mini 1PDT on/off off/on (Pack of 4 switches). Pack containing on/off off/on Three positions Toggle Switchs, mini 1PDT (Pack of 4 sw..